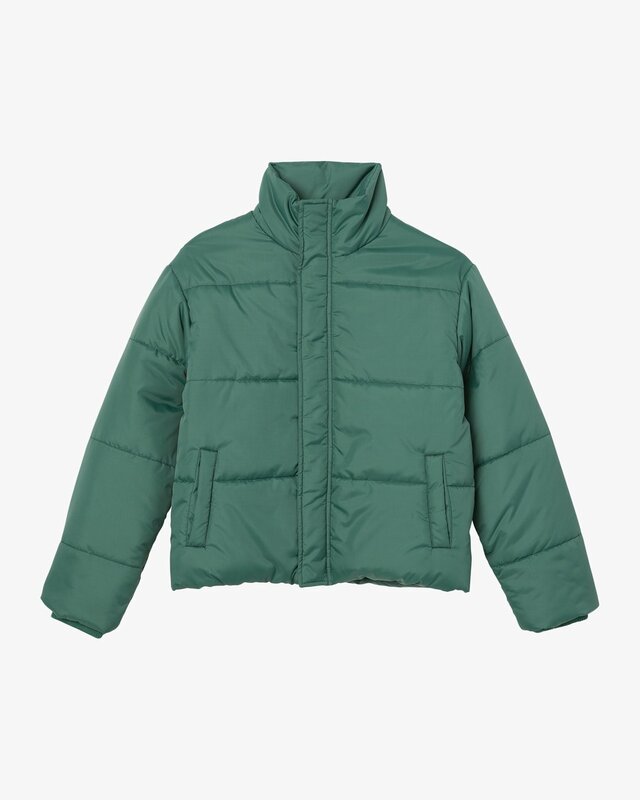 Eezah does it with an original take on the staple puffer jacket. 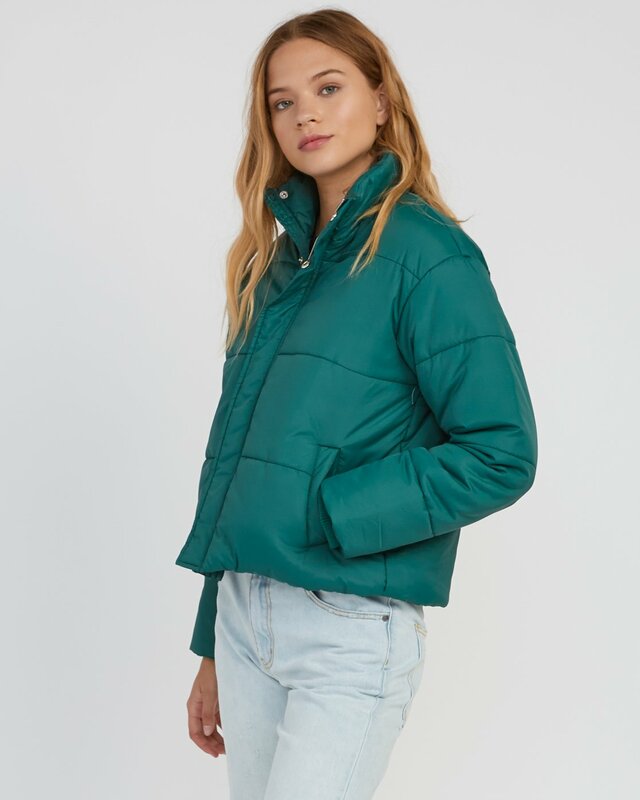 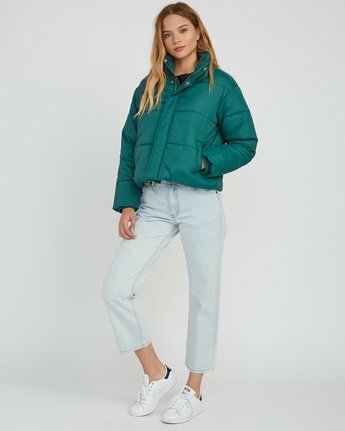 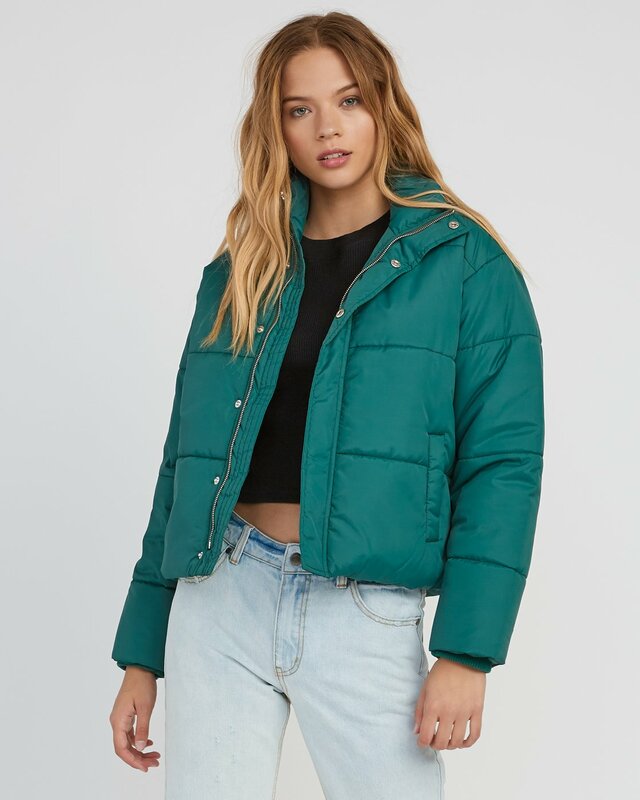 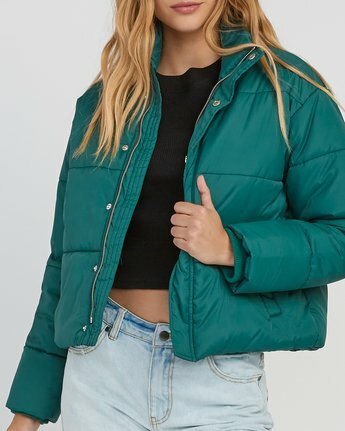 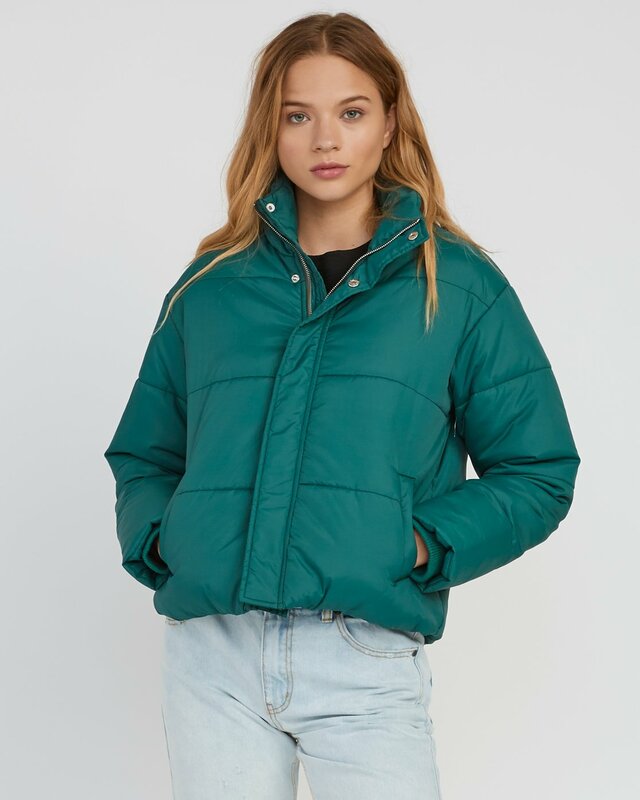 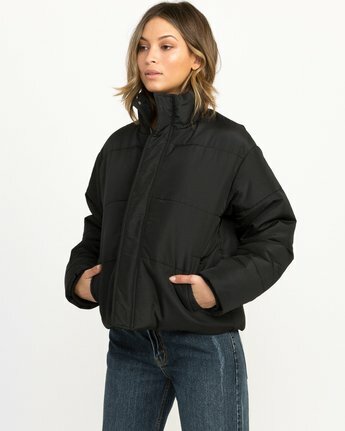 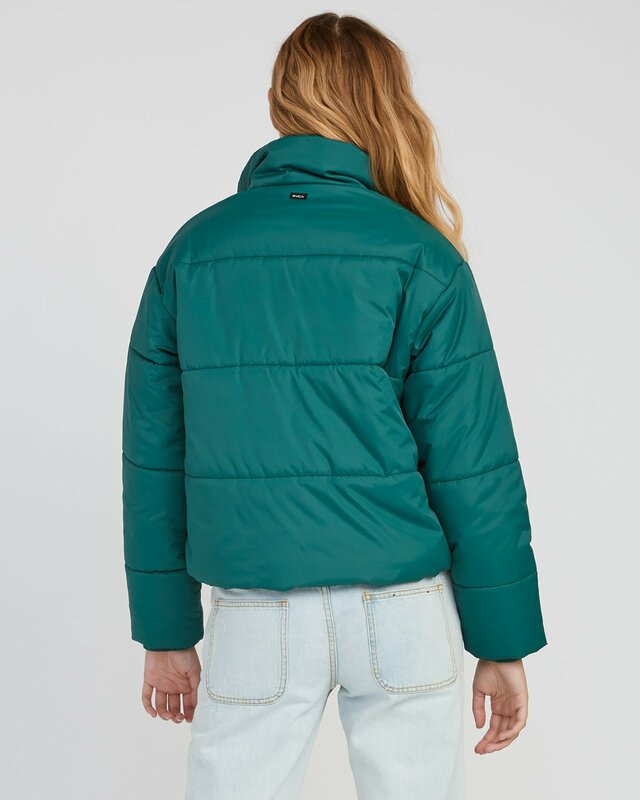 Crossing cold weather utility with streetwear design, the RVCA Eezeh Puffer Cropped Jacket features a cropped and oversized cut and quilted, filled construction. 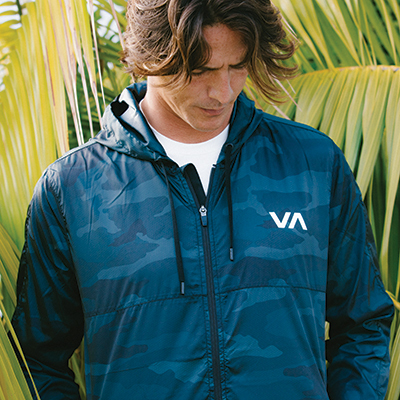 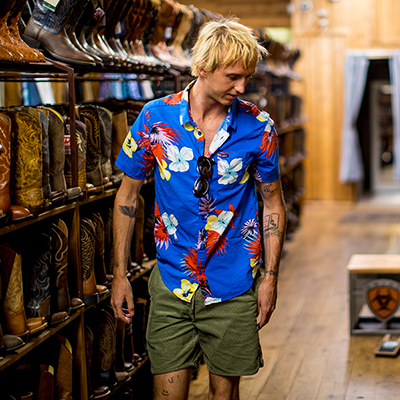 Details include hidden rib knit cuffs, welt hand pockets and a zip-up front with a storm flap.